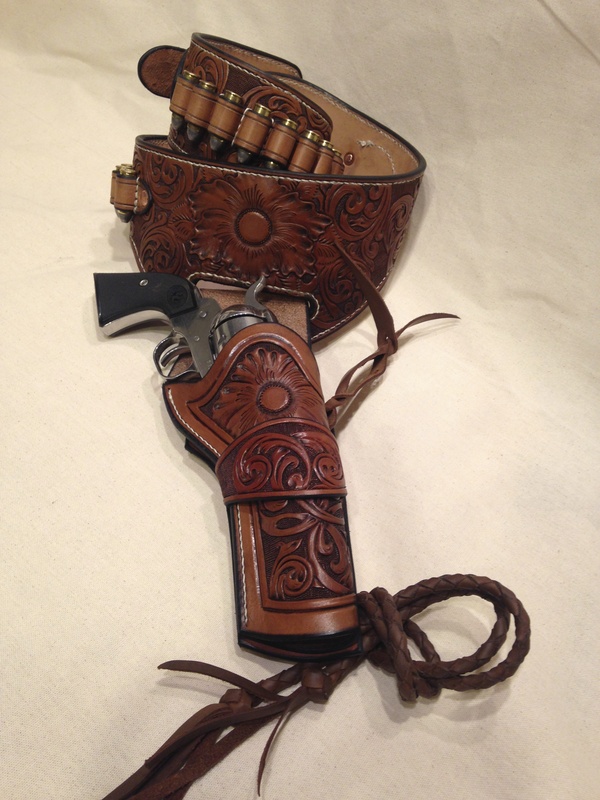 In 1930 with the upcoming and new Hollywood cowboy a new breed of holster started to show up known as the buscadero or the drop rig. 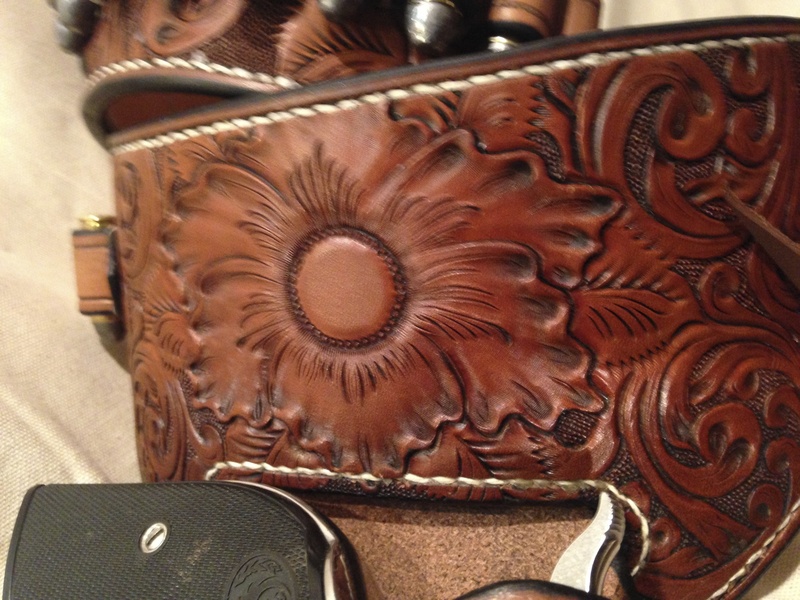 These holsters were usually built on a belts of 2 1/2 inches or greater with a section of the belt dipping down with a slot for the holster. 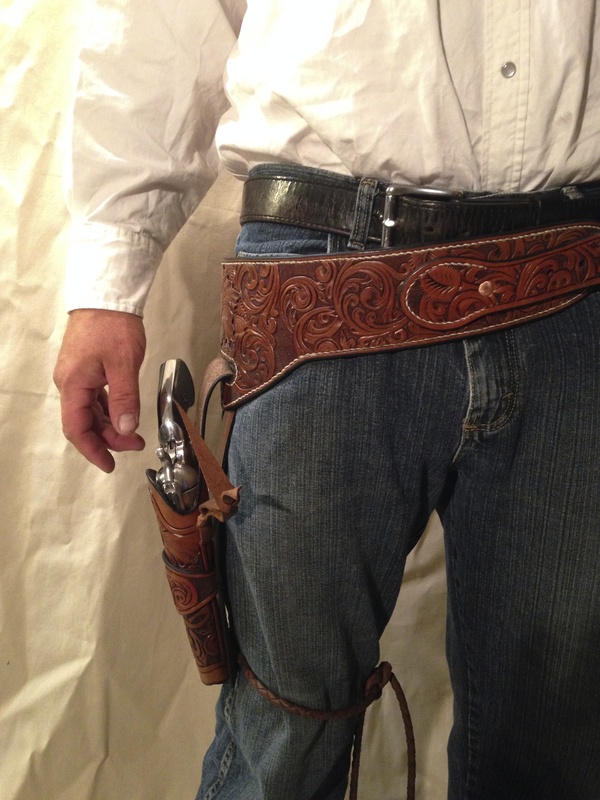 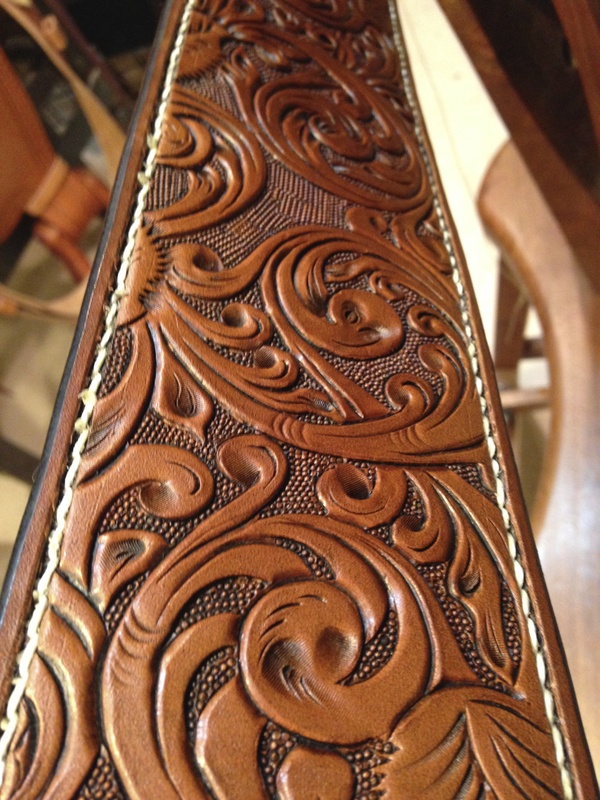 The holster would normally set at arms length on the thigh and have a strap of leather to tie the holster to the thigh to aid in a quicker draw without the holster coming up with the gun.